^ Comunicado [Announcement] (PDF). CMVM.pt. Portugal: SL Benfica. 14 July 2017 [14 July 2017] （葡萄牙语）. ^ Portugal come from behind to finish third. FIFA.com. 2 July 2017 [7 July 2017] （葡萄牙语）. 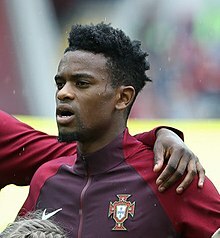 ^ Nélson Semedo. European Football. [26 December 2016].